Superb shrub for accent, specimen or border use in semi-shaded areas; desired for the splendid, abundant, showy blue globe-shaped flower clusters. Handsome foliage on boldly branched, mounded form. Deciduous. Partial sun. Fast-growing to 4 to 6 feet high, equal width. 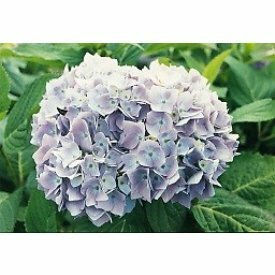 Few plants offer such beautiful Dutch blue coloring as Hydrangea when grown in acidic soils. Perfect for cool-colored garden schemes featuring purple, pink and white. Gorgeous as an accent amidst lighter greens or when planted in a mass to intensify the impact of these flowers in large spaces. Soak overnight Some items may be shipped bare root with little or no soil on the roots, instructions are included with each order for bare root planting. Some items may also arrive with little or no leaves on them they are not dead but in a dormate stage.